I did it anyway, expecting to come back to the next step in the process, the cart. Instead, I came back to the earlier page to (again!) select the date, time and quantity. Although I remembered what I originally selected, how very frustrating and annoying for myself and other users to recreate their work. And after selecting the tickets again, my next step was the cart. 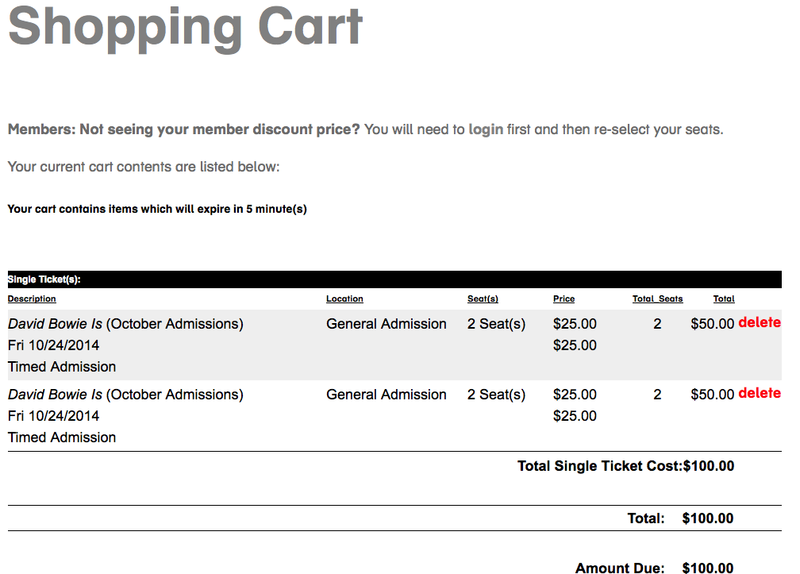 But it turned out that I didn't have to reselect the tickets after all - in the cart, I found not two but FOUR tickets. Obviously, my selection was duplicated and I had to then delete two of them, etc. I can't wait for the exhibit but I hope users don't face the same issues with the user experience I did.